convention center despite some local opposition. reimbursed once the project is completed. said she wanted a further briefing on the project. move at speeds of up to 50 mph. 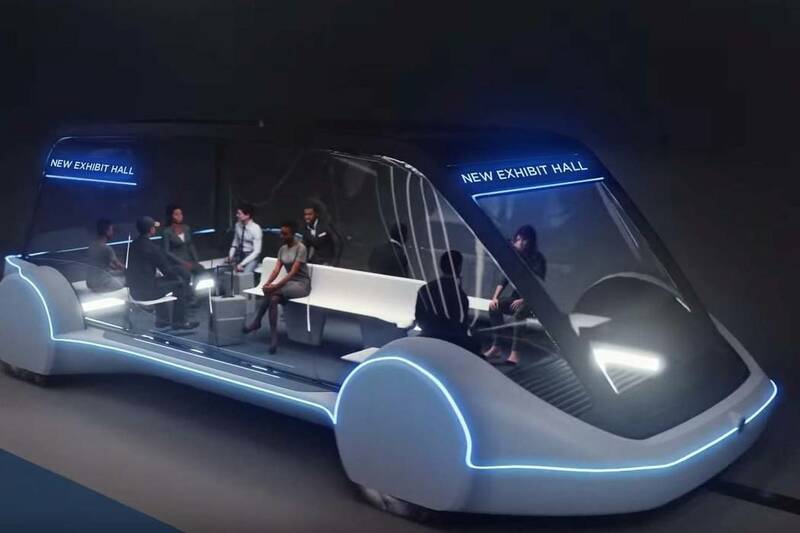 The system of just over a mile long is expected to debut by January 2021.
the board with a full design and proposed contract by June. suburb, allowing reporters and guests to take rides. saying boring tunnels elsewhere can cost $750 million per mile. "The cheapest bid isn't always the best because you get what you paid for,"
said councilwoman Michele Fiore, who sought to postpone the vote. be taken to landfills into bricks. can really make it unbelievably inexpensive." the board gave the go-ahead for an underground transit system. questions, some of which remain unanswered. the line to the other with a series of stops in between. on rubber tires just like those minicar rides at amusement parks. and then taking an exit off the main highway to the destination. did in the current construction of the West Hall expansion. projected costs, between $35 million and $55 million. about 1½ miles of tunneling. beneath the convention center’s South and Central halls. unloaded and be replaced with another vehicle for the next ride. maximum capacity of 16 passengers per vehicle could be an issue. have answered before entering negotiations. Southwest, especially in Arizona, California, Nevada, New Mexico, and Texas.